This post was written by our guest blogger Janette Alexander (ASC host mum). 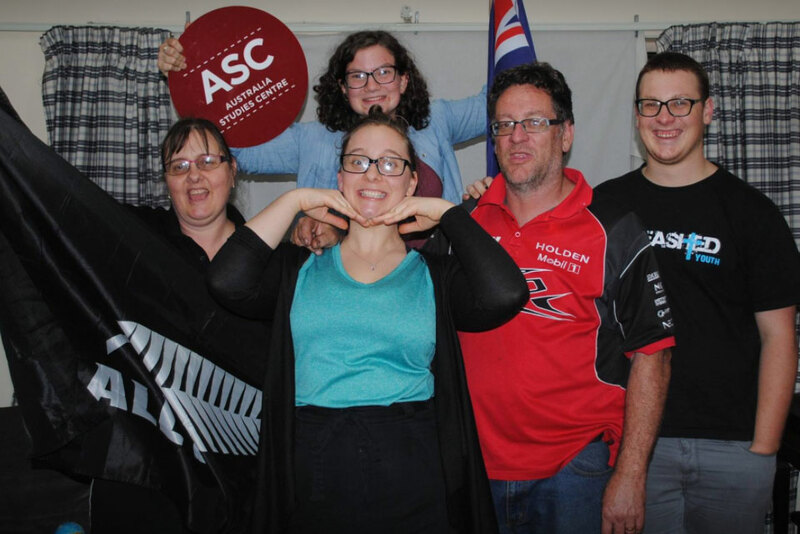 Janette is married to Craig and they have been host parents to ASC students since 2014. They are Kiwis with a strong love for Aussie sports (Cricket, Australian Football and Rugby). Craig and Janette Alexander with their kids! I remember our first student was back in July 2014, a Chicagoan from Wheaton College. Since then, the students have come from far and wide and we get to see different perspectives of America we never knew each time. Each relationship is a memorable one, with no favorites, we are blessed to continue each one after they’ve gone, through Facebook or Skype. Over the years, we’ve even had the opportunity to meet up with students and their families in their own hometown. As host parents, we really enjoy helping the students through their studies in Australia especially in the area of culture and history. 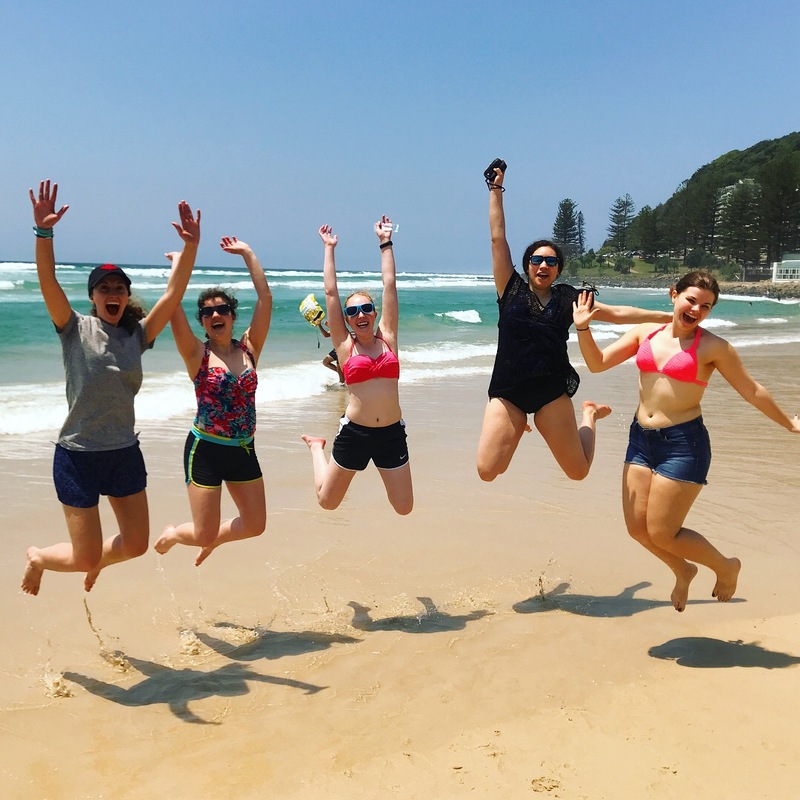 We have taken our students to experience the diversity of the landscape from the Sunshine Coast through to Northern New South Wales. 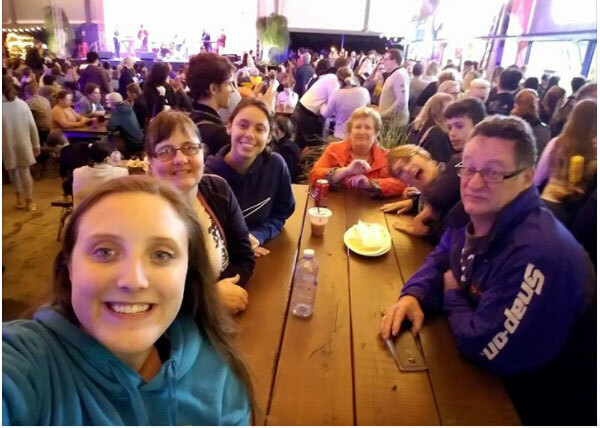 As a family, we love being able to share a little of our world here in Australia with the students. We love building lifelong friendships and with that comes memories which leave a American-shaped hole in all of us when they leave. ASC students Anna and Lauren at Eat Street Markets with the Alexanders. We depart the leafiness of Mansfield and chug down the busyness of the Pacific Motorway. We find ourselves going pass HUGE amusement rides so high you feel sick just thinking about them! The chatter on the bus remain constant and sounds of laughter fills the air. YES, we are at the beach! Welcome to Beach Day 2018. We stake our spot for the day. Laughter. Talking. An exchange of accents fills the air! The beach is perfect. The weather warm. Swimming and walks along the coast call out to the students. Morning tea is what is calling me. We sit, we eat. We talk. The stumps are assembled. The pitch is drawn. The fieldsmen get ready and the ball is bowled. Someone yells “Catch it” followed by a THUD! Batsmen bat for the first time. Bowlers bowl, they don’t pitch. There is running. There are catches. There are stumpings. Lunch is PIZZA. Pizza is LUNCH. We dive. We duck. We get our hair wet. We saunter back on the bus. Till the next time, Goldy. We came as strangers and leave as friends. ASC students loving their time at the beach. 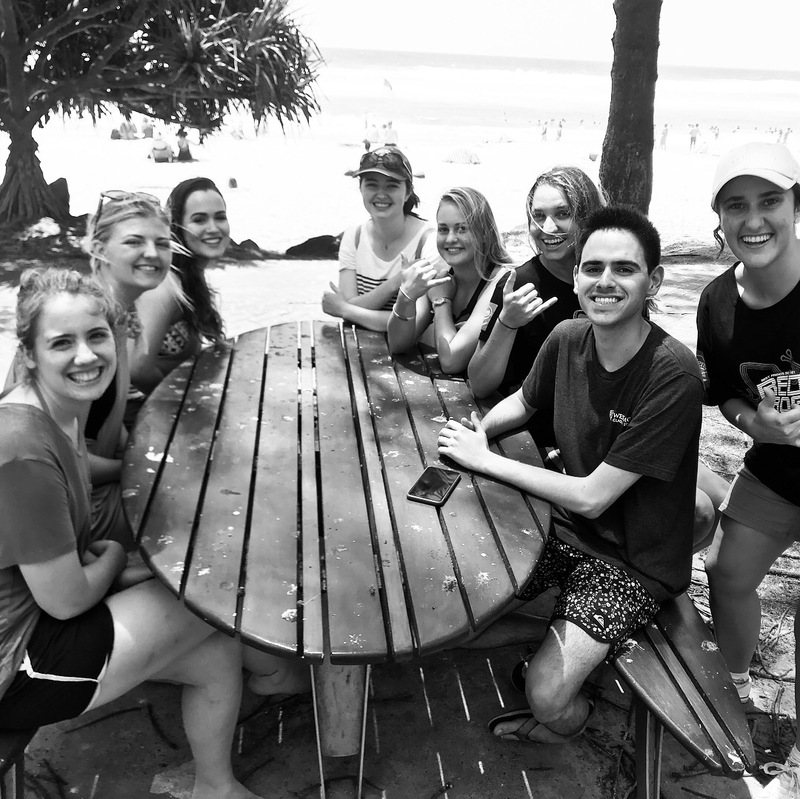 ASC students and Red Frogs at Burleigh Heads for beach day.